General Charger Discussion General Discussion about the Dodge Charger. 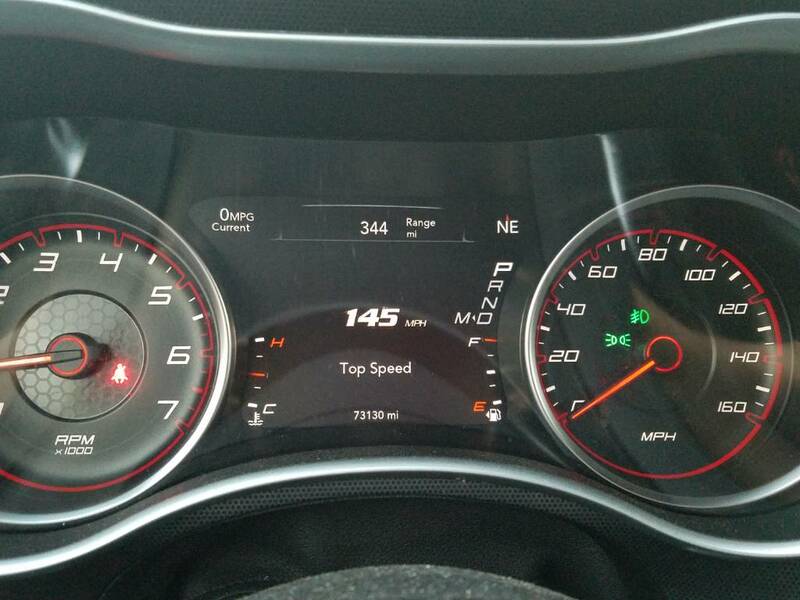 Dodge Charger Forums > Dodge Charger Discussion > General Charger Discussion > What is Charger 392 top speed ? What is the official top speed of a 392 Charger? I have no plans to pin the speedo & do 180mph like the Autibahn video. But I was wondering what does the manufacturer actually claim? Dodge has a video showing the official 204mph top speed of the Hellcat Charger and there is a video showing the 212mph top speed of the ZR1 Corvette that Chevy took to Germany. I searched all over & can't find an official video for a 392 Charger. Does anyone know if there is one? I've seen that 175mph figure yet the Autobahn video shows 180mph. I just thought it would be interesting to see an official Dodge video. I would imagine it taking quite a while indeed due to our cinder block on wheels aerodynamic profile. I would have thought it would have been higher then that. My R/T has buried its speedometer. Yup that's the governor you hit. You would need to have that tuned to be off. If you have a post 2015 car that means also getting an unlocked PCM in order to do the tuning in the first place. Before it was tuned the governor would shut it off at 139mph. My Charger isn't exactly stock anymore and I'm SURE that's the reason it easily buries its speedometer now. With a little work the 5.7 isn't a bad engine at all, heck it never really was a bad engine it just needed a few more horses. Last edited by Mangoman; 4 Weeks Ago at 05:36 AM. Yeah mine is a 2015 I have the unlimited warranty so I'm not messing with it for awhile to keep it intact. I believe if I'm not mistaken the regular RT's max out at around 127 to the early 130's. Last edited by krautmaster; 4 Weeks Ago at 06:35 AM.